Express produced we can have these packs to you fast! 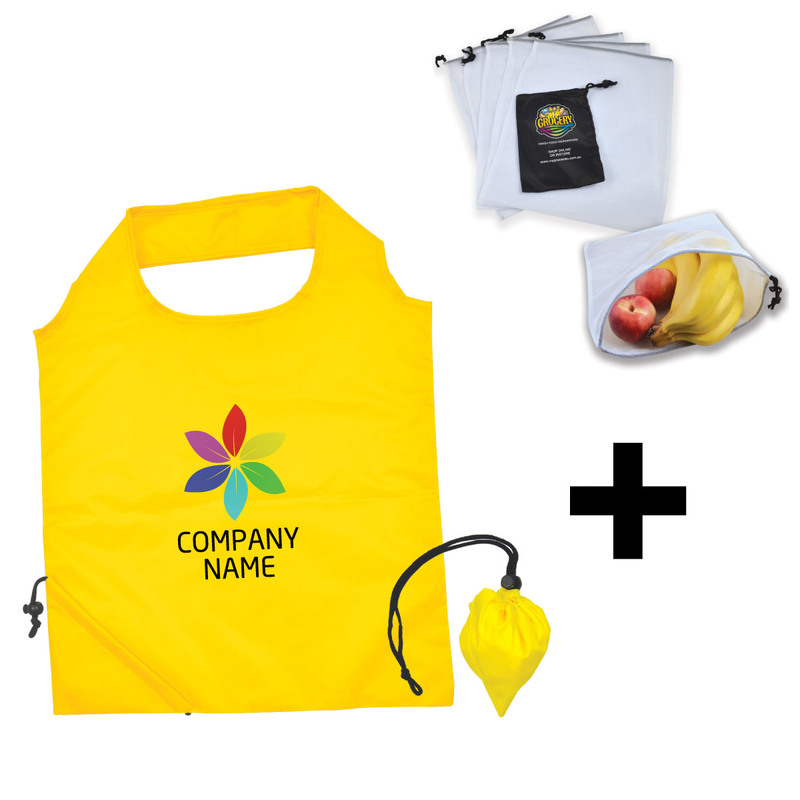 Shopping bags are an Eco friendly and effective way to get your logo seen regularly. These shopping packs include items that perfectly pair together for a promotional giveaway that is going to get noticed when your customers are out shopping. The set includes a polyester shopping bag that folds down to a compact size with integrated drawstring so you can easily store them away when not in use and a set of 5 mesh drawstring produce bags that is stored in a drawstring polyester pouch. 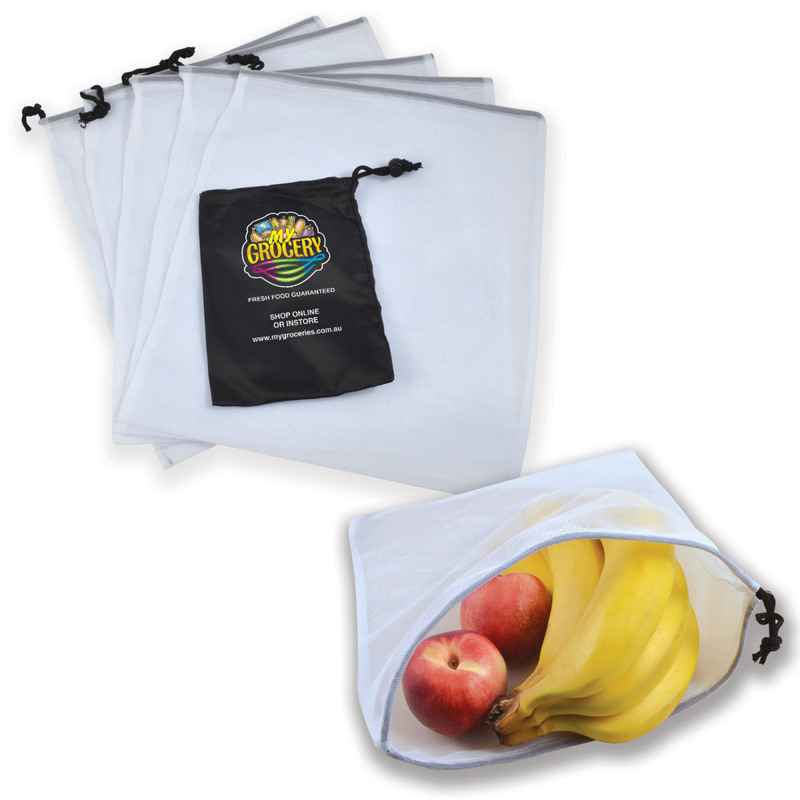 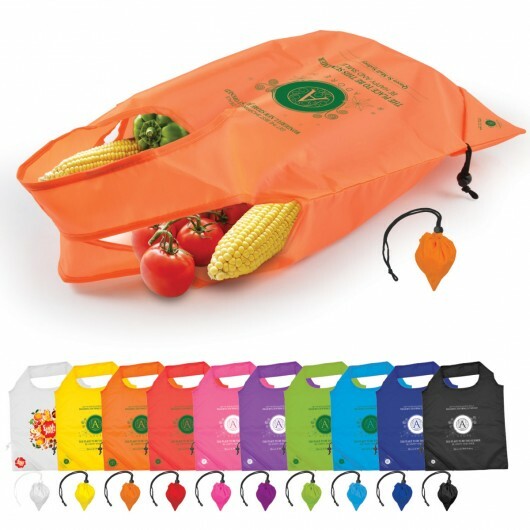 The airflow allows produce to stay fresh for longer and reduces the use of plastic bags. Decoration is located on the centre of both bags - additional decoration is available on the corner of the shopping bag.